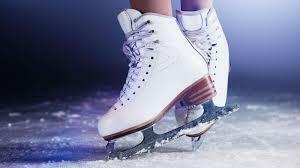 Join Mishkan kids for annual ice skating fun-draiser! After a pizza lunch at Mishkan, people will drive themselves to the skating rink for a good time! Come Ice Skate With Us! Simon’s does not have a parking lot. Parking is available along Woolston Ave. and other surrounding streets. *You must bring cash or check to Mishkan. We have no way to take credit cards! All proceeds benefit the congregational school. ** Contact Jenna Conley atjennarebecca@yahoo.com for any special dietary requests.